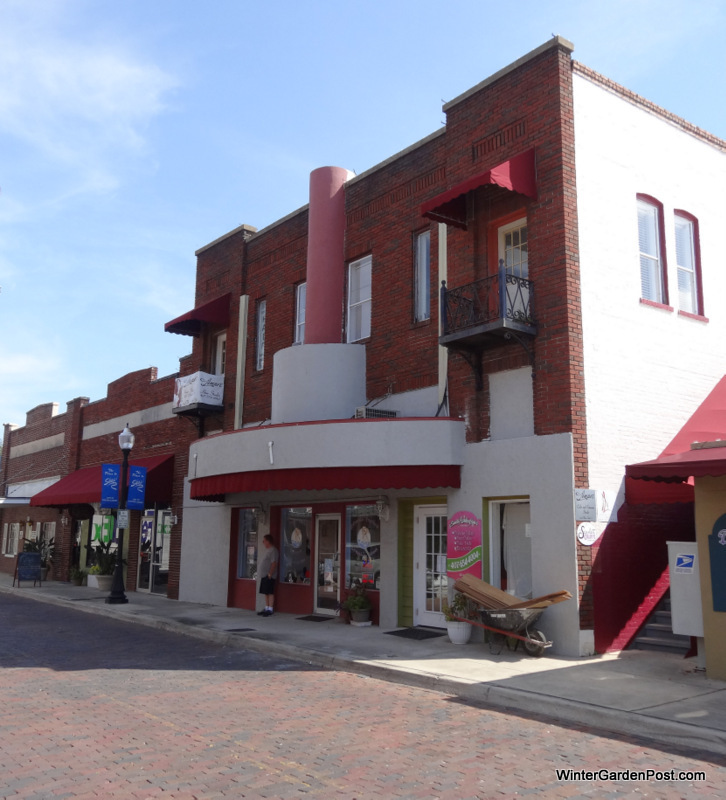 The Puppy Patch Boutique & Grooming Spa has been a fixture in downtown Winter Garden for over five years and is located in the old Gem Theatre building on S. Main Street. Owner Shirley Gustafson said they are doing some remodeling and is excited about the results! The Puppy Patch has different levels of grooming, with their Studio Bath, Studio Pamper, and Studio Fabulous, with many a La Carte selections. Pet Photo Day is coming up on Nov. 2nd from 12-3pm. Don’t miss it! 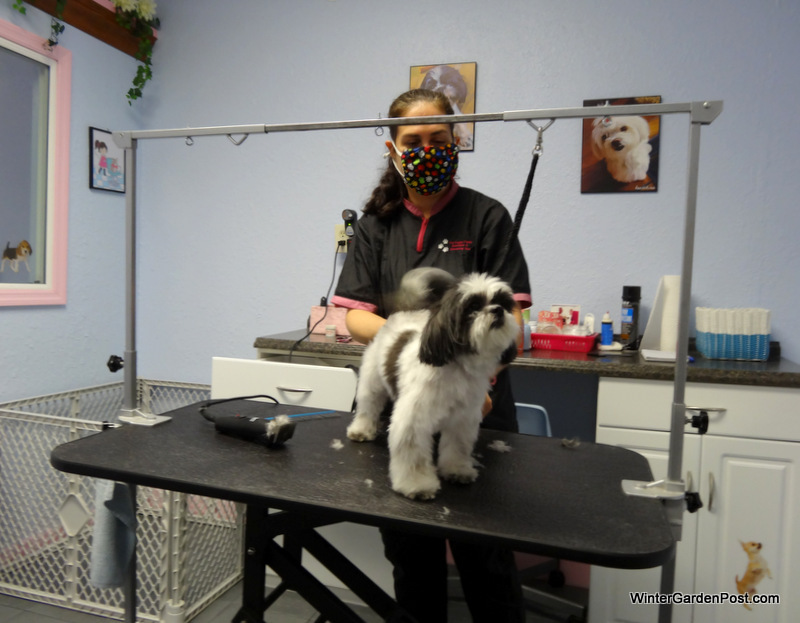 Puppy Patch Boutique and Grooming Spa, Winter Garden FL 34787, Dog Grooming 34787, Pet grooming 34787, Animal massage 34787, Winter Garden dog grooming, Winter Garden Pet grooming 34787. 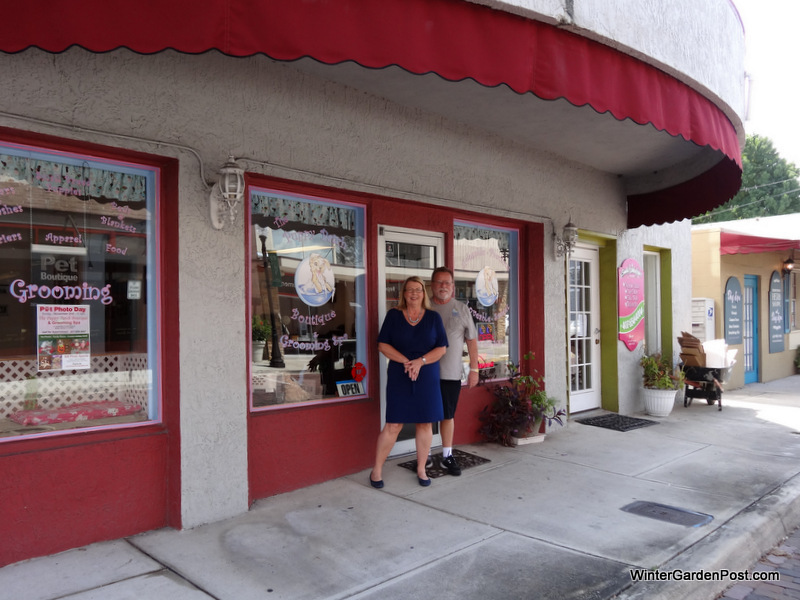 Puppy Patch Boutique owner Shirley Gustafson with husband John.